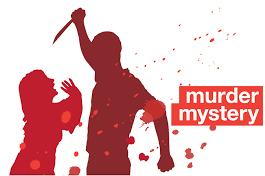 A Murder Mystery Dinner show "Murder on Stoney Creek, written by Paul Warshauer. Produced by Murder 4 Fun, Inc. Proceeds support Mary's Lamb Women with Children Program. Call 410-255-5265 for tickets.